"What's good is easy to get." We need food, water, shelter from the elements, and safety from hostile animals and people. All these things lie ready to hand and can be acquired with little effort or money. We don't need caviar, champagne, palaces, or bodyguards, which are expensive and difficult to acquire and keep. People who want more than they need are making a fundamental mistake, a mistake that reduces their chances of being satisfied and causes needless anxiety. While our bodies need food, water, shelter, and safety, all that our souls need is to be confident that our bodies will get what they need. If my body is contented and my soul is confident, then I will be cheerful, and being cheerful is the key to being happy. As long as we are cheerful it takes very little to keep us happy, but without cheerfulness we cannot really enjoy even the so-called 'pleasures' of life. Being cheerful is a state which is full of pleasure—indeed Epicurus calls it 'the limit of pleasure'—and it is a normal state, but if we suffer from anxiety we need to train ourselves to attain and maintain it. The discipline of Epicurean philosophy enables its followers to recognize how little they actually need, to enjoy possessing it, and to enjoy the confidence that they will continue to possess it. On the other hand, there is no reason not to enjoy occasional luxuries, if they happen to be easily available. There is nothing wrong with luxury in itself, but any dependence on luxuries is harmful to our happiness, as is every desire for unnecessary things. "What's terrible is easy to endure." There is no denying that illness and pain are disagreeable, but nature has so constituted us that we need not suffer very much from them. Sickness is either brief or chronic, and either mild or intense, but discomfort that is both chronic and intense is very unusual; so there is no need to be concerned about the prospect of suffering. This is admittedly a difficult teaching to accept, especially for young people, but as people get older and more experienced in putting up with suffering, they tend to recognize its truth more and more, as did the Roman philosopher Seneca, whose health was anything but strong.2 Epicurus himself died in excruciating pain, from kidney failure after two weeks of pain caused by kidney stones; but he died cheerfully, he claimed, because he kept in mind the memory of his friends and the agreeable experiences and conversations they had had together. Mental suffering, unlike physical suffering, is agony to endure, but once you grasp the Epicurean philosophy you won't need to face it again. Know the limits of what you need, recognize the limits of what your body is likely to suffer, and enjoy the confidence that your life will be overwhelmingly pleasant, unless you poison it with anxiety. "Don't worry about death." While you are alive, you don't have to deal with being dead, but when you are dead you don't have to deal with it either, because you aren't there to deal with it. "Death is nothing to us," as Epicurus puts it, for "when we exist, death is not yet present, and when death is present, then we do not exist. "3 Death is always irrelevant to us, even though it causes considerable anxiety to many people for much of their lives. Worrying about death casts a general pall over the experience of living, either because people expect to exist after their deaths and are humbled and terrified into ingratiating themselves with the gods, who might well punish them for their misdeeds, or else because they are saddened and terrified by the prospect of not existing after their deaths. But there are no gods which threaten us, and, even if there were, we would not be there to be punished. Our souls are flimsy things which are dissipated when we die, and even if the stuff of which they were made were to survive intact, that would be nothing to us, because what matters to us is the continuity of our experience, which is severed by the parting of body and soul. It is not sensible to be afraid of ceasing to exist, since you already know what it is like not to exist; consider any time before your birth-was it disagreeable not to exist? And if there is nothing bad about not existing, then there is nothing bad for your friend when he ceases to exist, nor is there anything bad for you about being fated to cease to exist. It is a confusion to be worried by your mortality, and it is an ingratitude to resent the limitations of life, like some greedy dinner guest who expects an indefinite number of courses and refuses to leave the table. 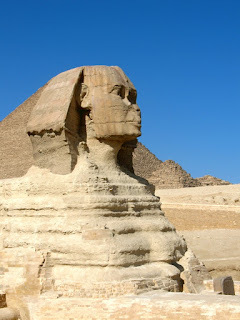 If the gods do not exert themselves for our benefit, how is it that the world around us is suitable for our habitation? It happened by accident, said Epicurus, an answer that gave ancient critics ample opportunity for ridicule, and yet it makes him a thinker of a very modern sort, well ahead of his time. Epicurus believed that the universe is a material system governed by the laws of matter. The fundamental elements of matter are atoms,6 which move, collide, and form larger structures according to physical laws. These larger structures can sometimes develop into yet larger structures by the addition of more matter, and sometimes whole worlds will develop. These worlds are extremely numerous and variable; some will be unstable, but others will be stable. The stable ones will persist and give the appearance of being designed to be stable, like our world, and living structures will sometimes develop out of the elements of these worlds. This theory is no longer as unbelievable as it was to the non-Epicurean scientists and philosophers of the ancient world, and its broad outlines may well be true. We happen to have a great deal of evidence about the Epicurean philosophy of nature, which served as a philosophical foundation for the rest of the system. But many Epicureans would have had little interest in this subject, nor did they need to, if their curiosity or scepticism did not drive them to ask fundamental questions. What was most important in Epicurus' philosophy of nature was the overall conviction that our life on this earth comes with no strings attached; that there is no Maker whose puppets we are; that there is no script for us to follow and be constrained by; that it is up to us to discover the real constraints which our own nature imposes on us. When we do this, we find something very delightful: life is free, life is good, happiness is possible, and we can enjoy the bliss of the gods, rather than abasing ourselves to our misconceptions of them. To say that life is free is not to say that we don't need to observe any moral constraints. It is a very bad plan to cheat on your friends or assault people in the street or do anything else that would cause you to worry about their reactions. Why is this a bad plan? Not because god has decreed that such things are ‘immoral’, but because it is stupid to do anything that would cause you to worry about anything. In the view of some moral philosophers (both ancient and modern) this view makes Epicureanism an immoral philosophy, because it denies that there is anything intrinsically wrong with immoral conduct. If we could be sure that nobody would find out, then we would have no reason to worry about the consequences, and therefore no reason not to be immoral. True, admits Epicurus, but we can never be sure that nobody will find out, and so the most tranquil course is to obey the rules of social morality quite strictly. These have been developed over the centuries for quite understandable reasons, mostly to give ourselves mutual protection against hostile animals and people. The legal and moral rules of society serve a good purpose, although it is not worthwhile to exert yourself to become prominent in public affairs and have the anxiety of public office. Much more satisfying and valuable is to develop individual relationships of mutual confidence, for a friend will come to your assistance when an ordinary member of the public will not. In fact, friends are our most important defence against insecurity and are our greatest sources of strength, after the truths of Epicurean philosophy itself. Friends and philosophy are the two greatest resources available to help us live our lives in confidence and without anxiety. Perhaps the best thing of all would be to have friends who shared our Epicurean philosophy with us; many Epicureans lived in small Epicurean communities, as did the followers of Pythagoras in earlier times. These Epicurean communities were probably modelled on the community that Epicurus established on the outskirts of Athens, called "The Garden." We know very little about the organization of these communities, except that they did not require their members to give up their private property to the commune (unlike the Pythagoreans and some modern religious cults) and that they probably involved regular lessons or discussions of Epicurean philosophy. They also included household servants and women on equal terms with the men, which was completely out of line with the social norms of the time, but Epicurus believed that humble people and women could understand and benefit from his philosophy as well as educated men, another respect in which Epicurean philosophy was well ahead of its time. One of the remarkable features of Epicurus' philosophy is that it can be understood at several levels of subtlety. You don't need to be a philosophical genius to grasp the main points, which is why Epicurus coined slogans and maxims for ordinary people to memorize, to help them relieve their anxiety whenever it might arise. There were signet rings and hand mirrors, for example, engraved with the words 'death is nothing', so the faithful could be reminded while going about their daily business. Suppose, though, that you're not convinced that 'death is nothing', for example, and you want proof before you organize your life around that idea. For people like you, Epicurus wrote letters outlining his basic arguments, which circulated freely among those interested in the topic. Suppose, again, that you already have a philosophical education, and you want to assess Epicurus arguments against the competing arguments, from other philosophers, for example. For this purpose he wrote elaborately careful and thorough memoranda of his arguments; his main treatise on natural philosophy ran to a staggering thirty-seven volumes. This extremely long book was given an intermediate (but still quite detailed) summary by Epicurus, and there may have been other levels of length and subtlety. If on a certain topic all our evidence seems superficial, that is probably because the more extensive discussions of that topic have not survived. 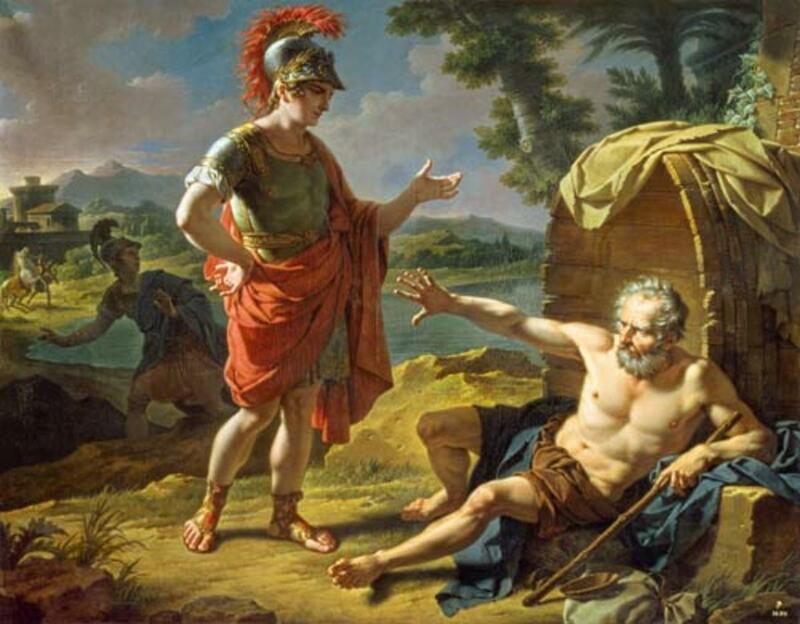 Alexander the Great meets the Greek philosopher Diogenes of Sinope circa 335 BC. The most illustrious of the Cynic philosophers, Diogenes of Sinope (c. 404-323 B.C.E.) serves as the template for the Cynic sage in antiquity. An alleged student of Antisthenes, Diogenes maintains his teacher’s asceticism and emphasis on ethics, but brings to these philosophical positions a dynamism and sense of humor unrivaled in the history of philosophy. Though originally from Sinope, the majority of the stories comprising his philosophical biography occur in Athens, and some of the most celebrated of these place Alexander the Great or Plato as his foil.It is disputed whether Diogenes left anything in writing. If he did, the texts he composed have since been lost. In Cynicism, living and writing are two components of ethical practice, but Diogenes is much like Socrates and even Plato in his sentiments regarding the superiority of direct verbal interaction over the written account. Diogenes scolds Hegesias after he asks to be lent one of Diogenes’ writing tablets: “You are a simpleton, Hegesias; you do not choose painted figs, but real ones; and yet you pass over the true training and would apply yourself to written rules” (Diogenes Laertius, Lives of Eminent Philosophers, Book 6, Chapter 48). In reconstructing Diogenes’ ethical model, then, the life he lived is as much his philosophical work as any texts he may have composed. The exceptional nature of Diogenes’ life generates some difficulty for determining the exact events that comprise it. He was a citizen of Sinope who either fled or was exiled because of a problem involving the defacing of currency. Thanks to numismatic evidence, the adulteration of Sinopean coinage is one event about which there is certainty. The details of the defacing, though, are murkier: “Diocles relates that [Diogenes] went into exile because his father was entrusted with the money of the state and adulterated the coinage. But Eubulides in his book on Diogenes says that Diogenes himself did this and was forced to leave home along with his father” (Diogenes Laertius, Lives of Eminent Philosophers, Book 6, Chapter 20). Whether it was Diogenes or his father who defaced the currency, and for whatever reasons they may have done so, the act lead to Diogenes’ relocation to Athens. Diogenes’ biography becomes, historically, only sketchier. For example, one story claims that Diogenes was urged by the oracle at Delphi to adulterate the political currency, but misunderstood and defaced the state currency (Diogenes Laertius, Lives of Eminent Philosophers, Book 6, Chapter 20). A second version tells of Diogenes traveling to Delphi and receiving this same oracle after he had already altered the currency, turning his crime into a calling. It is, finally, questionable whether Diogenes ever consulted the oracle at all; the Delphic advice is curiously close to Socrates’ own injunction, and the interweaving of life and legend in Diogenes’ case is just as substantial. Once in Athens, Diogenes famously took a tub, or a pithos, for an abode. In Lives of Eminent Philosophers, it is reported that Diogenes “had written to some one to try and procure a cottage for him. When this man was a long time about it, he took for his abode the tub in the Metroön, as he himself explains in his letters” (Diogenes Laertius, Book 6, Chapter 23). Apparently Diogenes discovered that he had no need for conventional shelter or any other “dainties” from having watched a mouse. The lesson the mouse teaches is that he is capable of adapting himself to any circumstance. This adaptability is the origin of Diogenes’ legendary askēsis, or training. Diogenes Laertius reports that Diogenes of Sinope “fell in” with Antisthenes who, though not in the habit of taking students, was worn out by Diogenes’ persistence (Lives of Eminent Philosophers, Book 6, Chapter 22). Although this account has been met with suspicion, especially given the likely dates of Diogenes’ arrival in Athens and Antisthenes’ death, it supports the perception that the foundation of Diogenes’ philosophical practice rests with Antisthenes. Another important, though possibly invented, episode in Diogenes’ life centers around his enslavement in Corinth after having been captured by pirates. When asked what he could do, he replied “Govern men,” which is precisely what he did once bought by Xeniades. He was placed in charge of Xeniades’ sons, who learned to follow his ascetic example. One story tells of Diogenes’ release after having become a cherished member of the household, another claims Xeniades freed him immediately, and yet another maintains that he grew old and died at Xeniades’ house in Corinth. Whichever version may be true (and, of course, they all could be false), the purpose is the same: Diogenes the slave is freer than his master, who he rightly convinces to submit to his obedience. Though most accounts agree that he lived to be quite old— some suggesting he lived until ninety— the tales of Diogenes’ death are no less multiple than those of his life. The possible cause of death includes a voluntary demise by holding his breath, an illness brought on by eating raw octopus, or death by dog bite. Given the embellished feel of each of these reports, it is more likely that he died of old age. When Plato is asked what sort of man Diogenes is, he responds, “A Socrates gone mad” (Diogenes Laertius, Book 6, Chapter 54). Plato’s label is representative, for Diogenes’ adaptation of Socratic philosophy has frequently been regarded as one of degradation. Certain scholars have understood Diogenes as an extreme version of Socratic wisdom, offering a fascinating, if crude, moment in the history of ancient thought, but which ought not to be confused with the serious business of philosophy. This reading is influenced by the mixture of shamelessness and askēsis which riddle Diogenes’ biography. This understanding, though, overlooks the centrality of reason in Diogenes’ practice. Diogenes’ sense of shamelessness is best seen in the context of Cynicism in general. Specifically, though, it stems from a repositioning of convention below nature and reason. One guiding principle is that if an act is not shameful in private, that same act is not made shameful by being performed in public. For example, it was contrary to Athenian convention to eat in the marketplace, and yet there he would eat for, as he explained when reproached, it was in the marketplace that he felt hungry. The most scandalous of these sorts of activities involves his indecent behavior in the marketplace, to which he responded “he wished it were as easy to relieve hunger by rubbing an empty stomach” (Diogenes Laertius, Lives of Eminent Philosophers, Book 6, Chapter 46). He is labeled mad for acting against convention, but Diogenes points out that it is the conventions which lack reason: “Most people, he would say, are so nearly mad that a finger makes all the difference. For if you go along with your middle finger stretched out, some one will think you mad, but, if it’s the little finger, he will not think so” (Diogenes Laertius, Lives of Eminent Philosophers, Book 6, Chapter 35). In these philosophical fragments, reason clearly has a role to play. There is a report that Diogenes “would continually say that for the conduct of life we need right reason or a halter” (Diogenes Laertius, Lives of Eminent Philosophers, Book 6, Chapter 24). For Diogenes, each individual should either allow reason to guide her conduct, or, like an animal, she will need to be lead by a leash; reason guides one away from mistakes and toward the best way in which to live life. Diogenes, then, does not despise knowledge as such, but despises pretensions to knowledge that serve no purpose. He is especially scornful of sophisms. He disproves an argument that a person has horns by touching his forehead, and in a similar manner, counters the claim that there is no such thing as motion by walking around. He elsewhere disputes Platonic definitions and from this comes one of his more memorable actions: “Plato had defined the human being as an animal, biped and featherless, and was applauded. Diogenes plucked a fowl and brought it into the lecture-room with the words, ‘Here is Plato’s human being.’ In consequence of which there was added to the definition, ‘having broad nails’” (Diogenes Laertius, Lives of Eminent Philosophers, Book 6, Chapter 40). Diogenes is a harsh critic of Plato, regularly disparaging Plato’s metaphysical pursuits and thereby signaling a clear break from primarily theoretical ethics. For the Cynics, life in accord with reason is lived in accord with nature, and therefore life in accord with reason is greater than the bounds of convention and the polis. Furthermore, the Cynics claim that such a life is the life worth living. 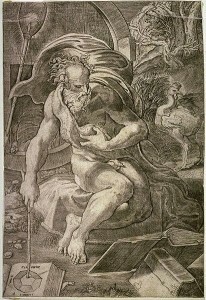 As a homeless and penniless exile, Diogenes experienced the greatest misfortunes of which the tragedians write, and yet he insisted that he lived the good life: “He claimed that to fortune he could oppose courage, to convention nature, to passion reason” (Diogenes Laertius, Lives of Eminent Philosophers, Book 6, Chapter 38). Goulet-Cazé, Marie-Odile and Richard Goulet, eds. Le Cynisme ancien et ses prolongements. Paris: Presses Universitaires de France, 1993.